The game has not yet been tested. Super Mario Bros. 2 is a platform game developed and published by Nintendo. The objective of the game is to navigate the player's character through the dream world Subcon and defeat the main antagonist Wart. 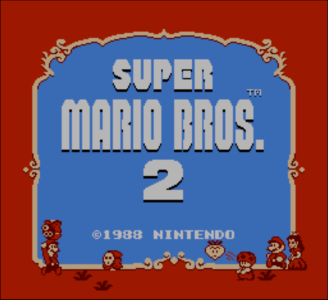 The virtual console edition of Super Mario Bros. 2 works near flawlessly in Citra. Graphically, the game is considered perfect and performs well even on lower-end hardware. It still suffers from major audio issues (e.g. sound effects being significantly distorted), but this does not hinder the gameplay in any way. Disabling audio stretching may help the audio issues minimally.